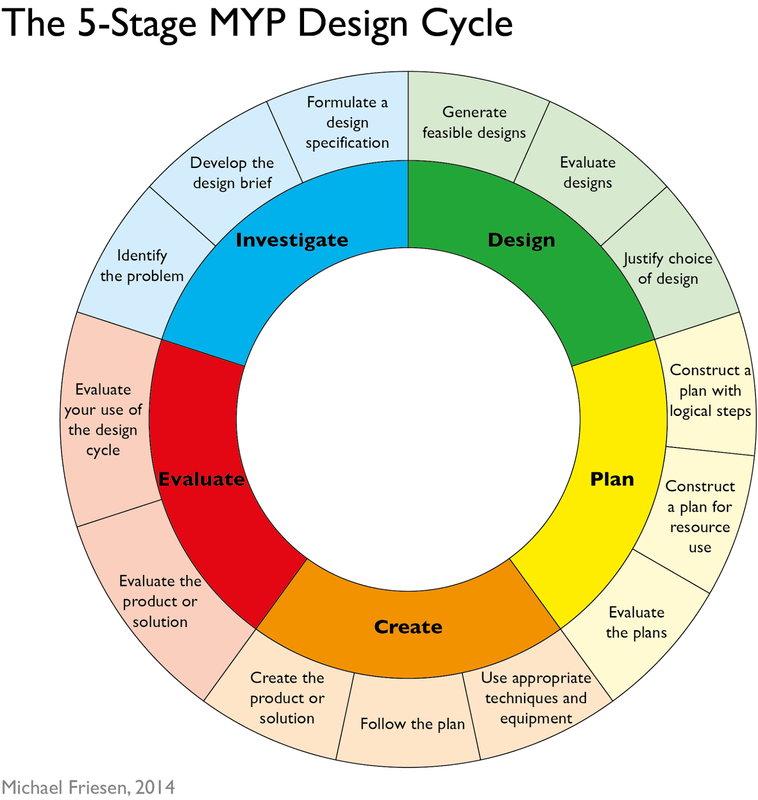 This graphic has the inquiry (investigate) and design broken out into their own sections unlike most MYP design cycle graphics. I really like how Michael Friesen designed this graphic. It is clear, retains the MYP language but recognizes that Investigate and Design deserve to have individual attention paid to them.